The best thing that ever happened to me was getting laid off from a company I had given 21 years of my life to, in management, marketing and administration. Forced out into the world again, I landed in a new “Active Adult” community working for the developer. Wow! I think I found it! That elusive “what do I want to be when I grow up” thing, people are always talking about. Not exactly on a whim, okay, it was a little whimmy, my husband and I decided to give it all up and move the beach we had grown to love so much over the years. Trying to reinvent myself again, I started a lawn service, a cleaning service and a pet sitting business and volunteering at the SOAR, the local animal rescue facility. Good move on my part, if I do say so myself! This allowed me to get to know my island and county and so many wonderful people. Then that real estate bug started gnawing again. I got my license and went to work. My first year, I was consistently sales agent and or listing agent of the month, then agent of the year. Thank you to all of my friends and clients for your confidence and referrals! It’s just gotten better every year. But what’s really more important than what I have done is what I can do and will do in the future for you, your family and your needs. I know the area. I know the homes. Need to sell? Allow my marketing experience and connections to work for you to sell as quickly and painlessly as possible. Ready to buy? I know I can find you that perfect fit in a vacation, investment or permanent home. I love what I do so much; I guarantee I can make it as much fun for you as it is for me! Growing up? Eh…maybe. But I sure know what I want to be…exactly what I am. By the way, I’m terrific at referrals out of our area too. Gotcha covered! Great realtor!!!! Great job markinting our property!!! She was prompt, courteous and very knowledgeable about the local market. I highly recommend her!!! The first time I met Marsha, I knew I was in the best of hands. She sent me homes to review, answered all my questions regarding the process and area, and became a very special friend during a very stressful time. I highly recommend Marsha to anyone looking for a permanent or part-time home in the Oak Island/South Port area. Marsha did a great job representing me in the purchase of my new home. She was always willing to work around my schedule and helped me get everything done quickly. We were able to get from offer to closing in 2.5 weeks once we found the right house. I would highly recommend using Marsha in the Southport/Oak Island area of North Carolina. The results say it all. Our home sold within a week. Marsha’s appraisal was on target and she was always available to answer any questions and generally answered the phone on the first ring. Not only would we recommend but, have several times already. Marsha has done a wonderful job getting us our dream home . She helped us get a condo six years ago and was knowledgeable and very helpful.she was so patient with us to find our dream home . Once we found it she went way above most get everything done ,even the seller was impressed.I would recommend her to anyone who is serious about finding what they really want.Thank you Marsha for helping us. Marsha is very knowledgeable and has been very accommodating. Twice now for us, once in condo market and now in the house market!! Although the process can be daunting she helped us through the process, and made it a breeze. Marsha helped us purchase a home recently. She was always on top of every detail. She kept us on track every step of the way through closing. Marsha always went above and beyond on every detail. We started with her as our agent but we would definitely say she is now our friend! Thank you Marsha! We called Marsha on a Saturday morning explaining we were in town for the weekend and asked if she had time to show us some houses. We explained how we were only in town for the weekend and had a bad experience with another agent the previous day. Even though she had out of town guests arriving that day she found time to show us some houses. We found the perfect house! She was wonderful through the entire process and still responds quickly when I email her about referrals for work on the house. I would recommend Marsha to all my friends and family. In fact, I already have! Marsha is a great agent who is working for you 24/7. When we were searching for a home it was as though we were her only clients. Anytime we had a question about a house, needed local information about the area, recommendations for contractors to suggestions for restaurants she was always ready to help. Negotiations and our closing went very smoothly thanks to Marsha and her expertise. Marsha was a great help in finding our future retirement home on Oak Island. Marsha found a home that reminded us of our New England style home in CT. As work needed to be done on the home it was easy to turn to Marsha for her knowledge of the area and reliable local contractors. Marsha's help, expertise and friendship continue well after the paperwork is done. Highly recommended. Marsha helped us purchase a home about 4 years ago. She was recommended to us by a friend of our son and we were not disappointed. In fact, we were very fortunate to have her represent us. Marsha was extremely patient and showed us a variety of homes. She answered all of our questions and knows probably every reputable service company, repairman, etc. on Oak Island. Even after the purchase, she has remained in contact with us as a friend. We would not hesitate to call her now if we needed advice regarding our home. She is the consumate professional when it come to real estate, especially in the Southport, Oak Island area. Started working with Marsha to buy a home about two years ago. We looked at MANY properties. Marsha was extremely patient. Very knowledgeable about the area and the homes we looked at. Finally decided we needed to build to satisfy all needs/wants. We purchased a lot with her help. Marsha has also put us in touch with an excellent builder. We are looking forward to working with Marsha during the building process. Marsha is honest, professional, knowledgeable, insightful, and very easy to work with. As someone else noted she listens! My sister and I bought a house together at Oak Island NC. I live in Tennessee and my trips to NC had to be productive. Marsha worked with us for two years until we found the perfect house!!!! After closing on the house she has stayed in contact with us and even checked on our home after a large storm. She called to let us know that there were just a few sticks on the ground and that she had picked them up. Marsha was referred to us by a friend who was also happy with Marsha. We referred our brother to Marsha who was also happy. The bottom is, Marsha will work with you, laugh with you, and research for you until you find the perfect home. Our happiness was her happiness. She knows Oak Island and we still call her when we have questions. I would recommend her and use no one else when buying a home. Marsha LISTENED to us as we shopped for our beach/retirement home. She helped us find the perfect home in a lovely neighborhood. We have worked with other agents who want to show only their own listings. NOT MARSHA! She was much more concerned with helping us find what we wanted. Our purchase was a short sale and it was the first she had done. This explains why I only rated her a 4 on process experience. It was our first short sale, too, and none of us knew what to expect! Marsha kept digging and was on the phone for endless hours talking to the banks on our behalf. Then on the phone updating us on what she had learned! After the sale, Marsha helped us by recommending lawn mowers, house keepers, information about where to shop for X, Y and Z. She became a friend. I even called her to help me catch a stray, starving kitten. Marsha came...with cat food. Her service continues more than five years later. Just last week I called and asked her a question about island lot values so we could update our insurance coverage. She promptly responded. We were from out of town looking to buy a vacation home in Oak Island and didn't know much about the place. Marsha was very informative about the island and a pleasure to work with. She was very helpful and communicative and helped buying our home a great experience! Thanks to Marsha for her professionalism, attention to detail and cutting edge technology in selling our vacation home. We appreciated her consistent communication, knowledge of the market and her expertise in handling our listing. She was organized and had creative approaches in her selling technique. The professional photographer she sent took high quality pictures and the video was first class. All of her efforts resulted in a fast sale. She has our highest recommendations. While on vacation, we finally decided to start exploring our dream of owning a beach house on Oak Island. How fortunate for us that Marsha was on duty when we walked into the office that day! She was incredibly patient while we looked at houses on and off for nearly two years. She listened so carefully and paid such close attention to our likes and dislikes that, when we finally found our dream home, I signed a contract without even seeing the house in person, based on her assurance that I would love it! She was right. Afterwards, she guided us through a long and complicated short sale with skill, patience, and a wonderful attitude. Marsha is smart, funny, attentive, knowledgeable and upbeat. My husband and I could not be more pleased. Please call Marsha for your real estate needs. She will do an outstanding job for you. I can't say enough about how awesome Marsha is!! She really went above and beyond to help us achieve our dream of owning a home in Southport. It was a LONG (very long) (and painful) process of dealing with banks and banks but Marsha hung in there for us and really helped to guide and advise us. I am so grateful for her hard work. She 'really' wanted to help us and I can't thank her enough for that. If you want an experienced agent that knows her stuff and CARES about your needs ... you should call Marsha Lovin Ferrell. We walked in unannounced , Marsha greeted us. I told her I wanted to buy house in the two days I was in area. She got some of the paperwork done and set out looking for homes. We met her the next morning she showed us only the homes she knew we would like, ran with us all over county and by that afternoon had us under contract. In the days after Marsha worked diligently to make sure we were took care of, she made all arrangements for inspections and made sure we had a easy and happy time. We only came in town the day of closing, everything done. We now live here and plan to buy rental property, Marsha will be only choice. We recommend Marsha to everyone we know. Marsha is the most caring, knowledgeable, resourceful and diligent professional real estate agent we have ever encountered. 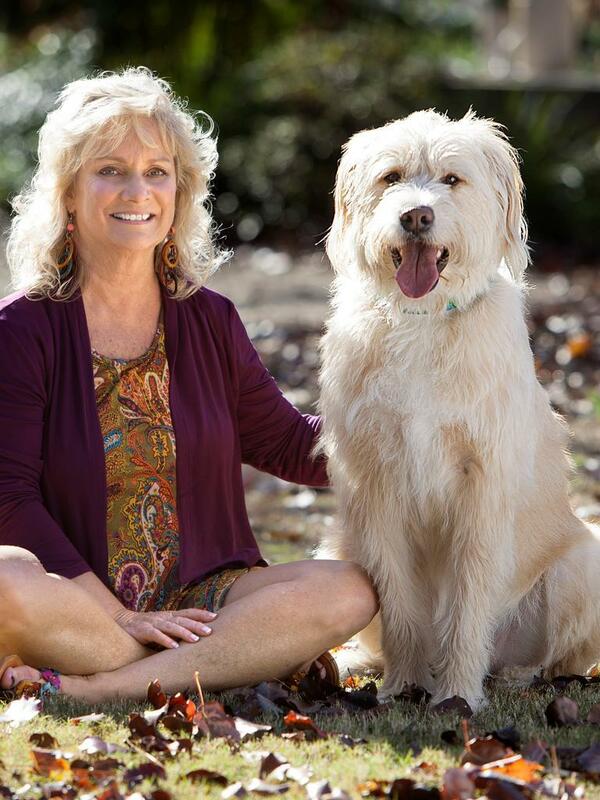 She helped us with successfully listing and selling two homes on Oak Island. She goes 'above and beyond' to ensure a smooth transition from listing to closing. Her expertise and advice made a world of difference in the 'showing quality' of our homes. She feels more like 'new family' than just an agent. We would highly recommend Marsha for anyone's real estate needs. We began working Marsha last summer on the recommendation of another broker who used to live/work in the area. Marsha patiently worked with us for several months on a couple of transactions. She is honest, knowledgeable and was exceptionally responsive throughout the process. She has the unique ability to simultaneously be polite and tenacious as she works tirelessly for her clients. We are not from the area and Marsha listened to our criteria and then continuously provided a customized set of potential properties for us to review. She set up many showings over a few weekends until we found the perfect fit for us. We would absolutely work with Marsha again and would recommend her without reservation! We found Marsha quite by chance having made an inquiry on a home in North Carolina (We live in NY). From the get go, Marsha went the extra mile in previewing it for us, determining that it was the right fit, negotiating with the sellers, and just making sure that we had everything we needed to ensure a smooth and carefree transaction. This was as close to a perfect home buying experience that we could have had, thanks to Marsha's diligence and hard work. All we had to do is show up for the closing and we now have the retirement home of our dreams.